Developer/Owner: Fort Bragg 801 Inc./U.S. National Housing L.L.P. 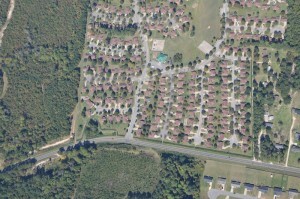 Features: Raeford Fields was designed to provide an attractive, high-quality living place for families assigned to Fort Bragg, North Carolina. All of the single family homes are of brick construction and are located on separate sites. There is a recreational field and tennis court on the property as well as a clubhouse. Homes are either two or four bedroom, and each has a garage.